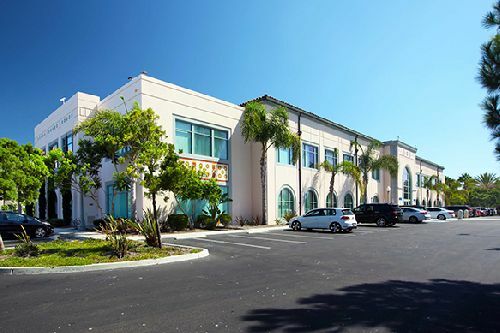 A partnership between IDS Real Estate Group and Lionstone Investments has acquired four Class A office buildings totaling 181.2k sf within the Liberty Station mixed-use development in San Diego for $76.8 mil ($424/sf). The assets were sold by McMillin Companies. The purchase was financed with $58.9 mil in acquisition money, provided by Suntrust Bank. The 72-month, floating-rate loan was arranged by HFF. Liberty Station is a preeminent mixed-use master planned development in San Diego, and the transaction comprises four separate assets located at 2280, 2468 and 2488 Historic Decatur Rd and 2750 Womble Rd. The buildings were completed between 2003 and 2006 and are 815 leased overall to a diverse tenant roster comprising legal, professional and financial services, aerospace and defense, hospitality, government and media tenants, among others. Liberty Station is situated within the greater 360-acre Liberty Station master plan, which includes: 349 residential units; 347 hotel rooms (with an additional 650 hotel rooms under construction or proposed); nearly 400k sf of office space; 30+ food and beverage establishments; 40+ shopping and retail stores (including grocery-anchors); 16 health and fitness centers, 11 event spaces, a luxury movie theatre; a golf course; a nearly 100-acre park-like arts district that is home to more than 20 museums and galleries; and the High Tech School campus with more than 3,500 students in their elementary, middle and high schools. The property is in a high-barrier-to-entry area at the heart of the affluent Point Loma area along San Diego Bay, about 2.5 miles from the San Diego International Airport. McMillin acquired the property in 2000 as a former naval base turned neighborhood. Liberty Station was built upon naval roots including the original Naval Training Center (NTC) that opened in 1923. NTC transitioned into Liberty Station and became a cultural hub of art, leisure and history — creating a timeless destination. Built by design, Liberty Station creates an authentic experience-encompassing beautifully landscaped promenades, restored historic buildings that have been preserved for today’s commerce, storied corridors, historic landmarks and spacious plazas. The project incorporates several historical structures, as well as newly-constructed office buildings that mimic and honor the existing historic architecture. Tim Wright and Chris Collins, also with HFF, arranged the financing.